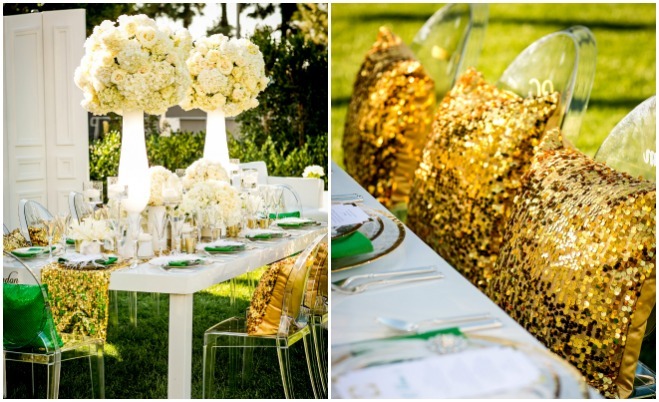 They say there’s a pot of gold at the end of every rainbow, and guess what? 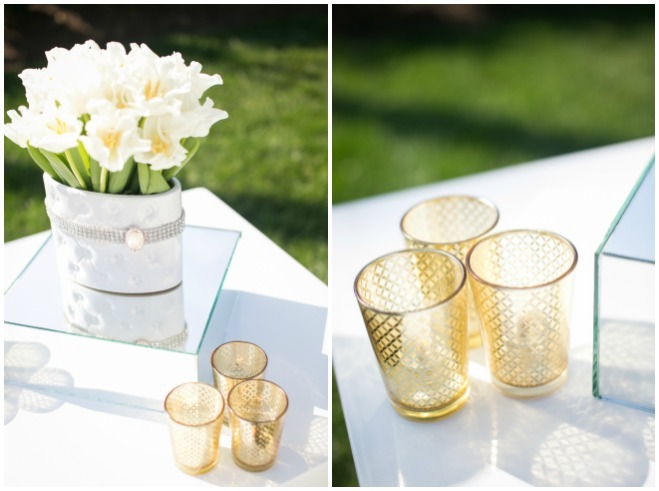 We’ve struck gold! 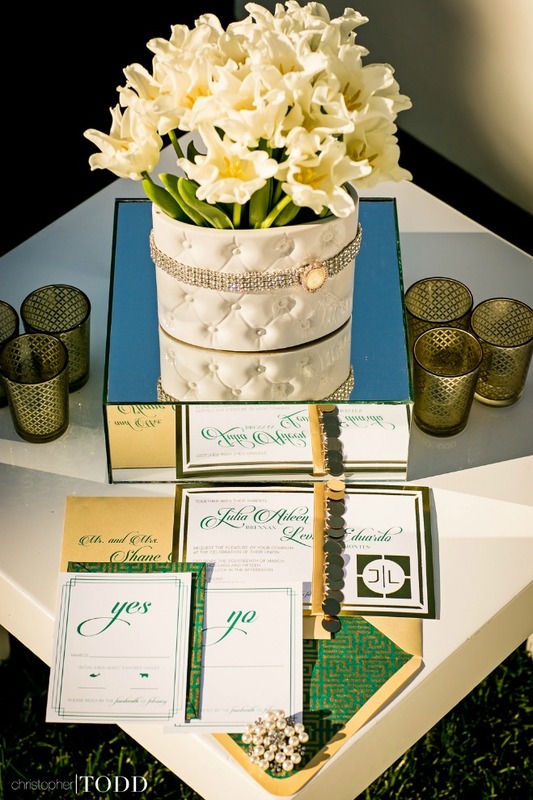 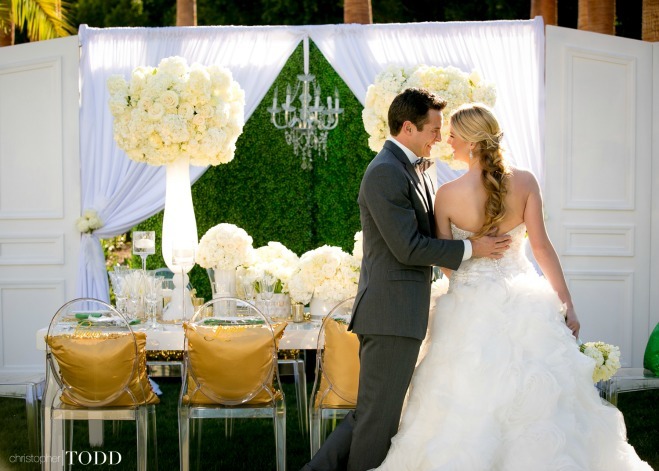 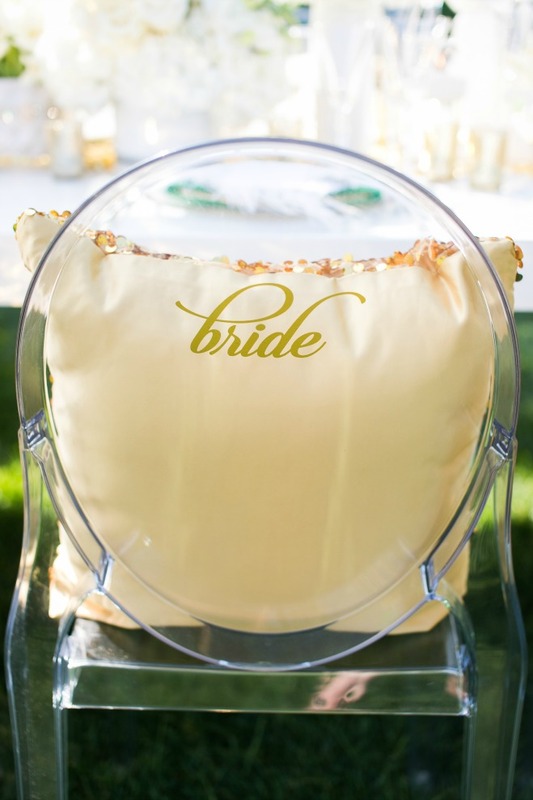 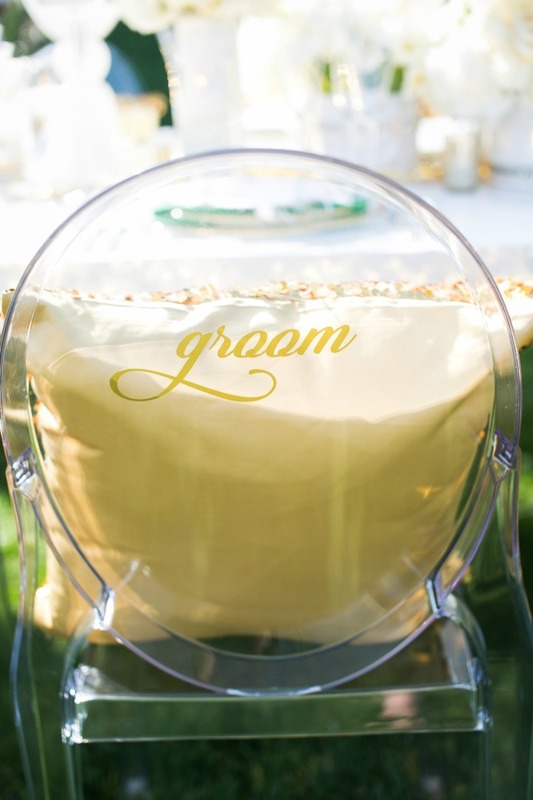 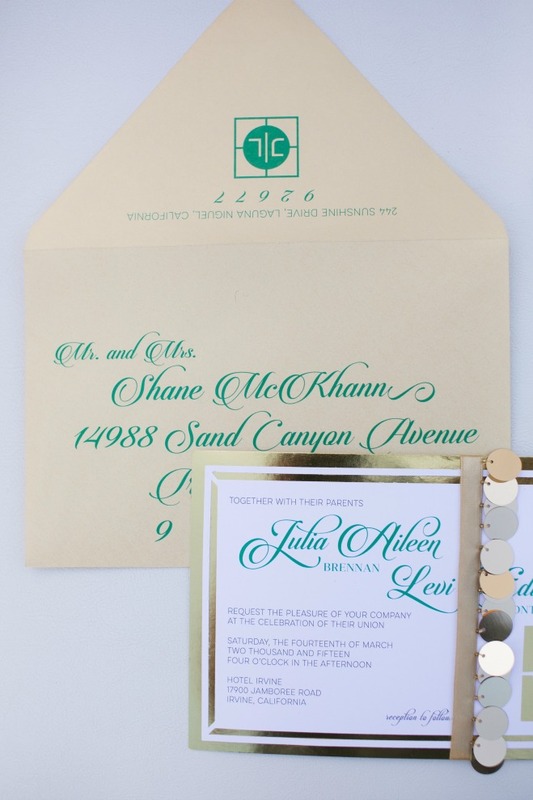 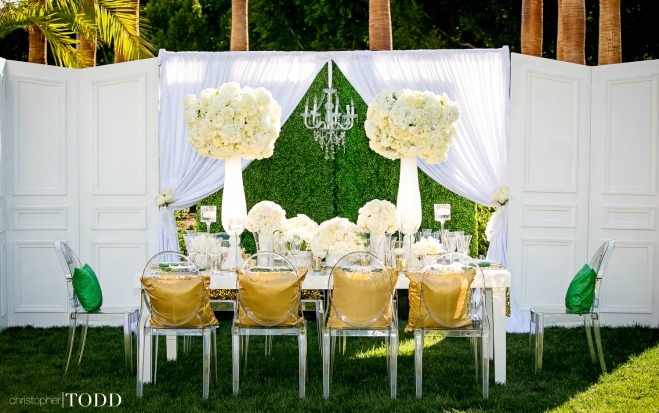 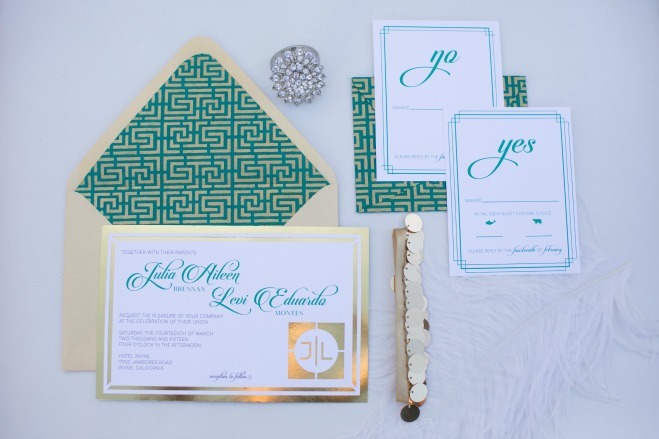 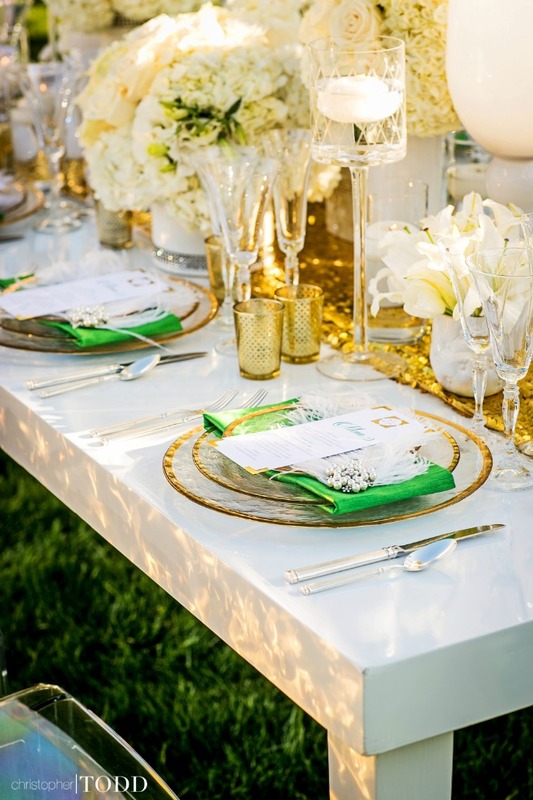 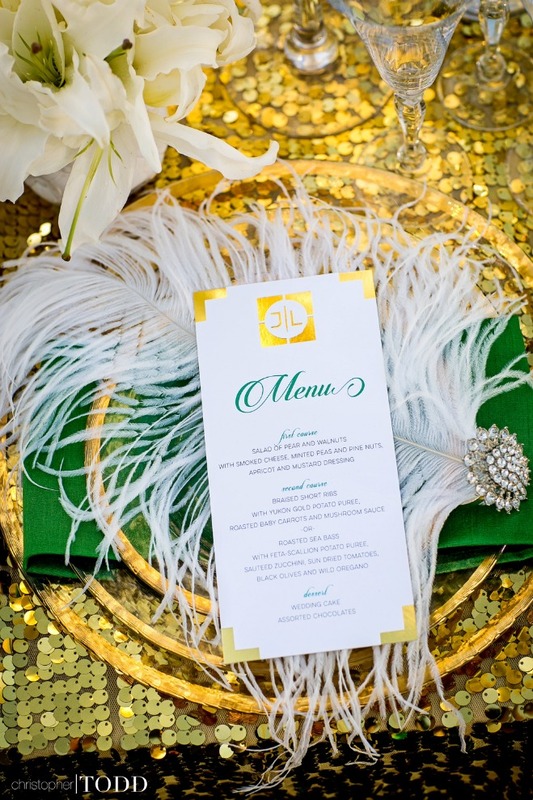 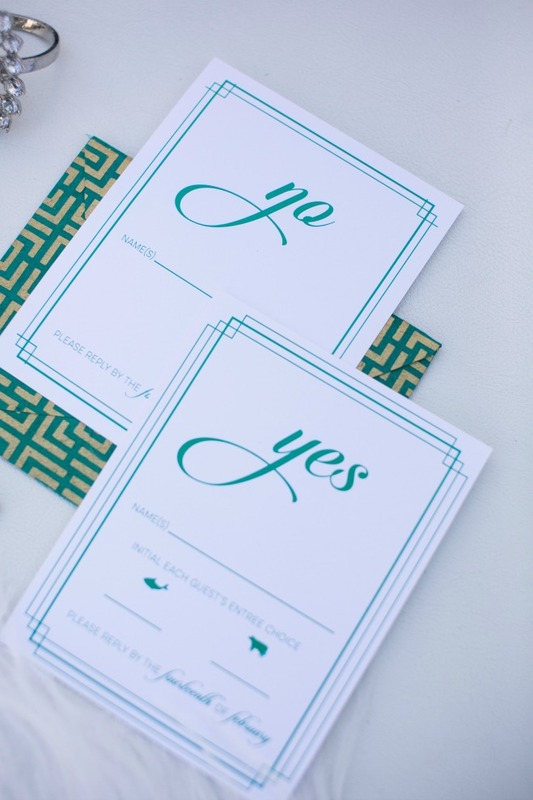 Designed by Trina Schmidt Weddings and Special Events, this wedding is sure to make an impression with its subtle touches of emeralds and golden charm. 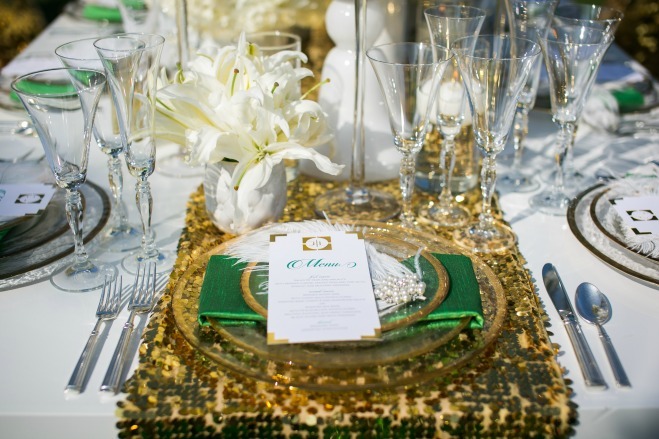 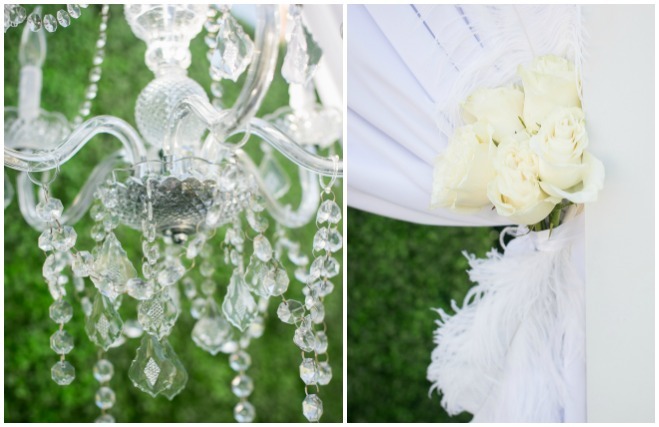 This classic and glamorous wedding is a blend of two lovers: an Irish girl who loves her glam, and a Brazilian boy who loves sunshine. 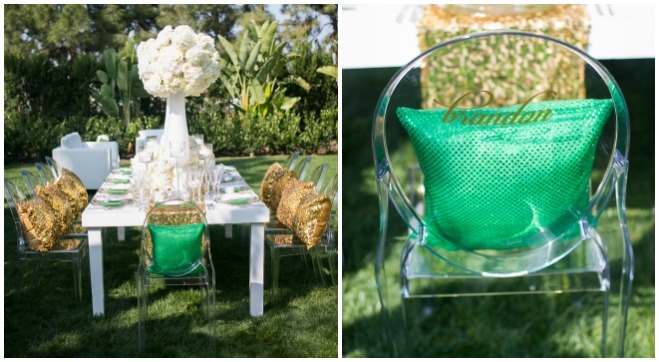 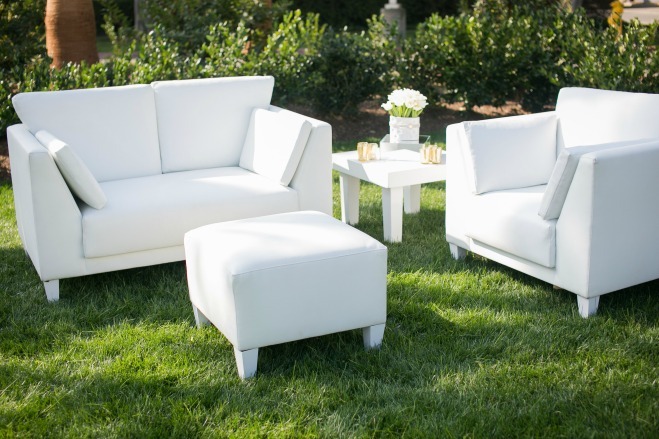 Hotel Irvine adds the right amount of elegance and sophistication to this emerald heaven. 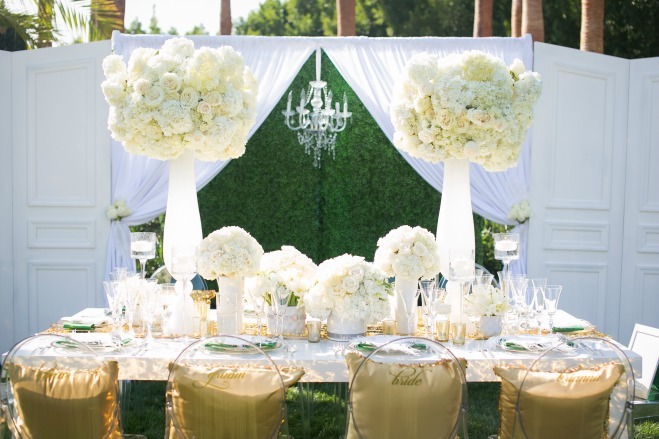 The backdrop is captivating with hints of shimmer in the cream linens from Luxe Linen with a gleaming chandelier from 2Create Designs. 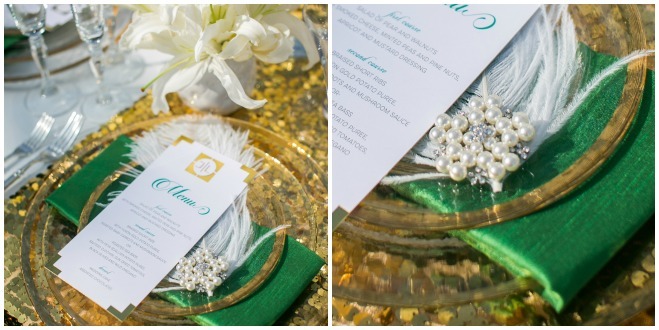 Created by Honeycrisp Designs, the invitation suite, menu cards and personalized chair boast a color palette of jades and sun-kissed golds. 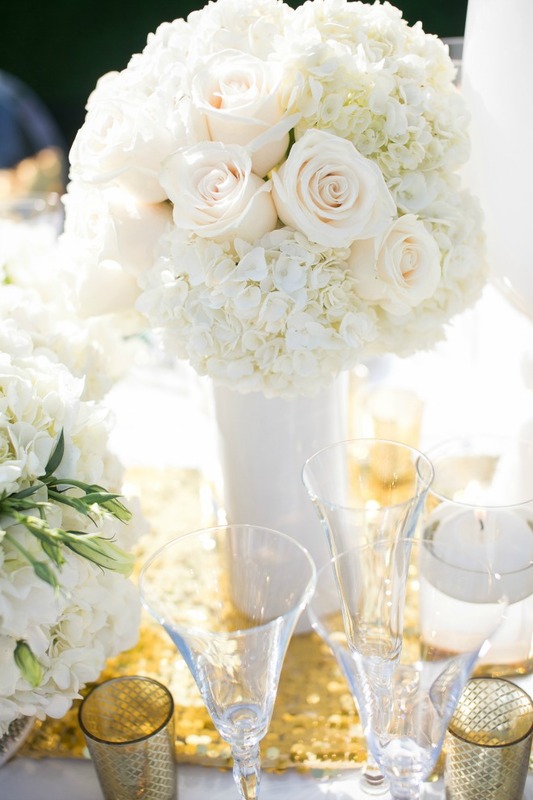 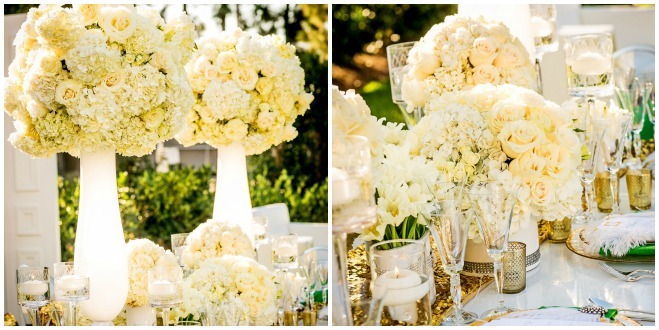 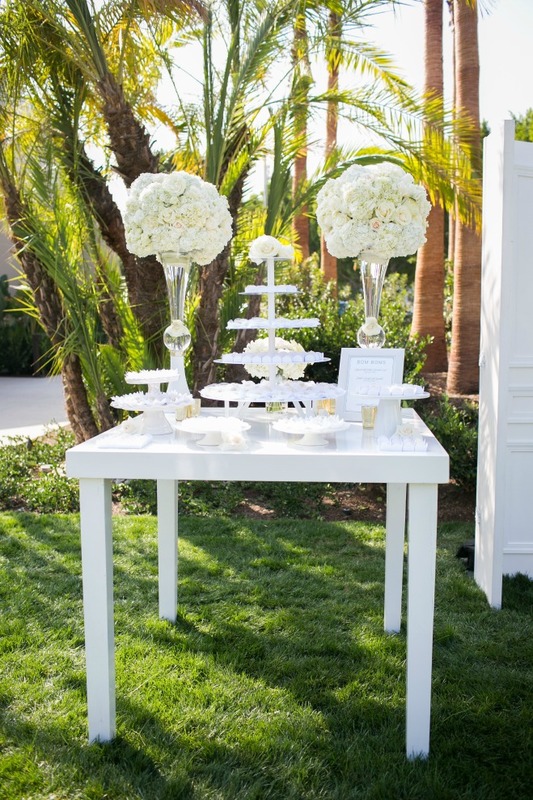 Pops of lush white floral from Flowers by Cina, paired with gilded antique wine glasses, make the perfect table centerpieces. 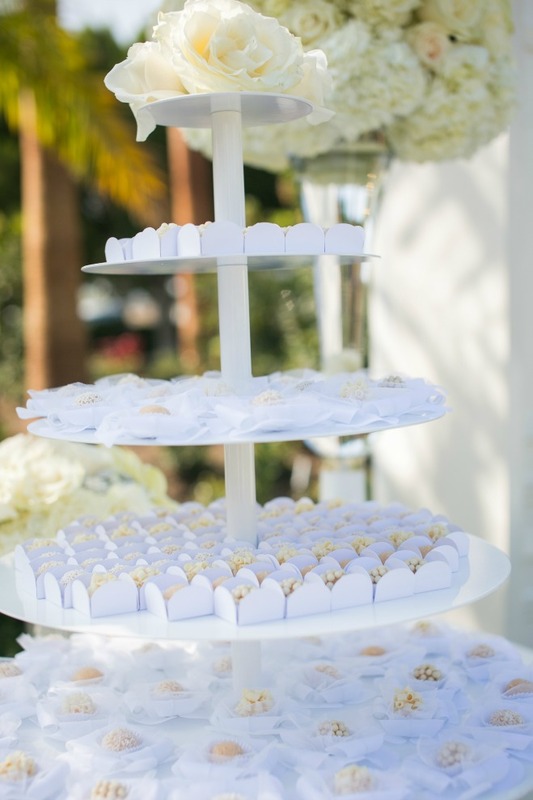 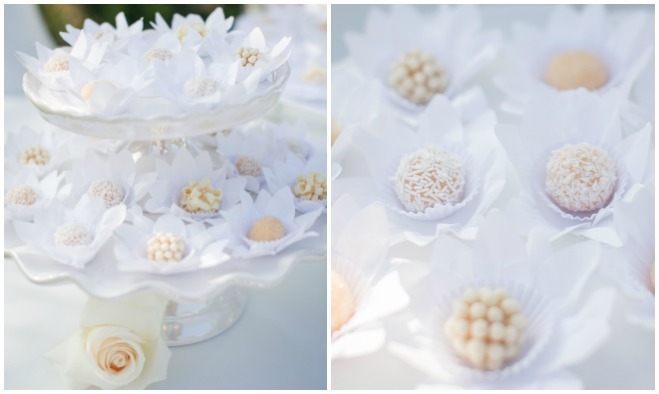 And to top it off, the dessert station has decadent bom bomchocolate treats, a Brazilian specialty from Bom Bom Brigaderio. 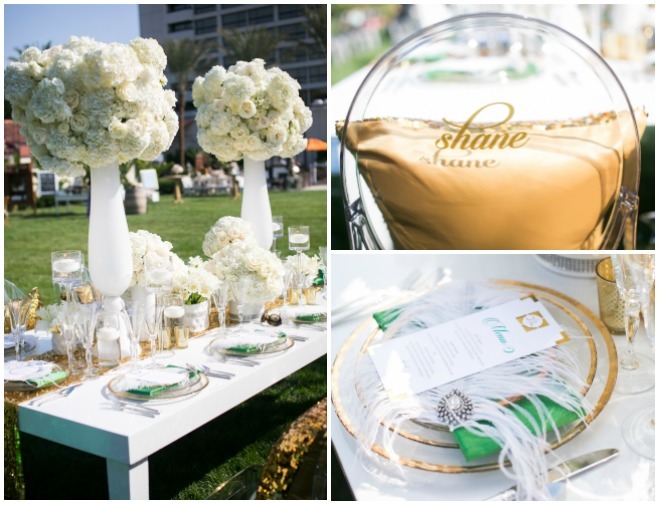 This Irish-inspired wedding is the perfect balance of glitz and glam and just in time for Saint Patrick’s Day!